Welcome to our historic home! We welcome you to our beautiful and historic village! Havre’s oldest two-story home is open for you to visit, explore and enjoy. Come and discover exciting and intriguing Havre history as you take a step back in time to the Victorian and Edwardian eras of Havre’s early days. The historic Mathews home, a circa 1898 Queen Anne, features the Mathews family, their servants and boarders. The neighboring historic Boone/Dalrymple home, the oldest in Havre, is also explained on the tour through a series of photographs and carefully researched history. You will learn how these families contributed in many ways to Havre’s business and social success, as well as the current owner’s vision of restoring these two venerable pieces of Havre’s history to their former glory. When you visit our quaint village, stay a while and take a Historic Havre Stroll or indulge in History Among the Headstones. If you have time for only one tour to take in Havre, our tours are the ones you want to take. 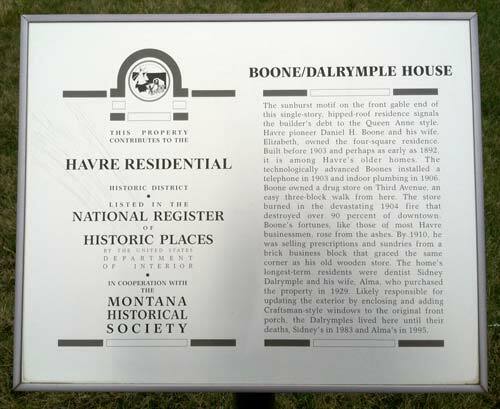 No one knows more about Havre's historic homes, buildings, sites, events and people, and we are pleased and honored to share that information with you. Our tours are Havre’s Hidden Gems-we are second to none, and your visit to Havre is not complete until you’ve taken at least one of our fabulous tours! Images of America: Havre is Miss Emily’s latest book showcasing her love of Havre history. Released in June 2015, the book includes pictures and histories of Old Downtown Havre, historic homes, public buildings, churches and schools, people and their activities and other subjects of historic note. 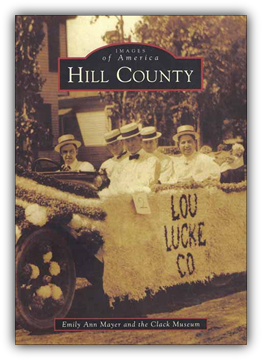 Her first book, Images of America: Hill County was written by Miss Emily and her friend and mentor, Lou Lucke. Released in 2009, it contains photographs both old and new along with useful historical information. These books were designed to explain the area’s history on their own as well as be perfect companions to other books written about Hill County’s diverse and rich history. Images of America: Havre and Hill County are available at select Havre businesses or by calling Miss Emily. As with any task of this magnitude, corrections are a necessary part of the business. Sometimes picture credits need correction and citizens provide more information than previously known. A free sheet of updates for Hill County is available by calling Miss Emily. If you have further information, please do not hesitate to contact Miss Emily so the information can be updated! Explore the grace and elegance of a bygone era by experiencing our tours. The Mathews, Boone and Dalrymple families were successful businessmen and social matrons who worked hard and helped create many good things for our village, and much of it remains today. Tours of the High Line Heritage House Museum start roughly Memorial Day weekend and run through the end of September. Tours for the 2018 season are daily at 9:00 a.m., 10:00 a.m. and 11:00 a.m. The tour takes about an hour. Alternate tour times and Quiet Season tours may be available, please call for more information. Cost is $10 for each adult, children 6-12 are $5.00 each and children under 5 are free with accompanying adult. Historic Havre Strolls are a great way to enjoy a summer evening and learn about Havre’s fascinating history. 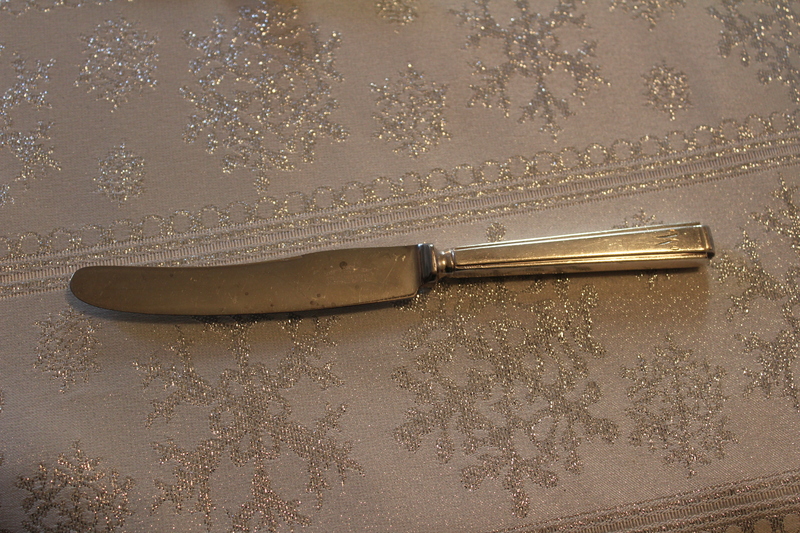 The Victorian Homes Stroll is conducted Monday evenings at 6:00 p.m. The Old Downtown Havre Stroll is conducted Tuesday evenings at 6:00 p.m. The Strolls are $10.00 for each adult, children 6-12 are $5.00 each and children under 5 are free with accompanying adult. Tours are conducted weather permitting from Memorial Day weekend until the end of September. Meet us at the High Line Heritage House Museum to begin and end your journey into our exciting past! 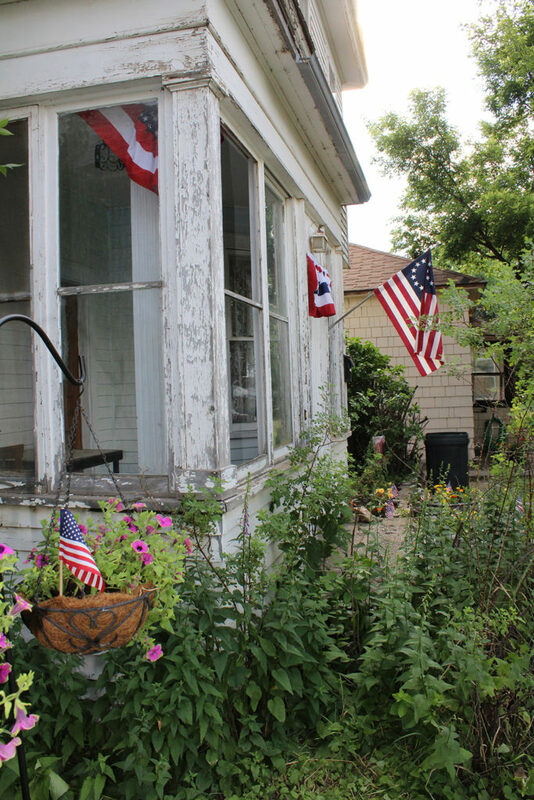 An Eclectic Stroll and a Craftsman Stroll of the Havre Residential Historic District and a combination Victorian Homes/Old Downtown Havre Stroll are special offerings during selected times of the year or by special appointment. Please check back for schedules for these fabulous tours. We also offer specialized tours which include refreshments. We encourage you to check the About Us section for these exclusive and elegant offerings. History Among the Headstones tours featuring our Notable Citizens are offered every Saturday at 6:00 p.m. starting the first weekend in June through the last weekend of September. Just in time for Halloween, additional tours, including new ones, will be offered in October. Due to the nature of cemetery tours, they may be unsuitable for young children. Cost is $10.00 for each adult, children 6-12 are $5.00 each, and children under 5 are free with accompanying adult. Tours are conducted weather permitting. We are the only historic site in Havre that takes Canadian currency at par-all season, every season! Restrictions may apply; please call for details. We are proud to be a Blue Star Museum! This initiative, sponsored by the National Endowment for the Arts, allows active military personnel and their families to visit museums throughout the United States free of charge. We honor this offer for all of our tours all season long. Please note there are no public restroom facilities on site, and the Historic Havre Strolls and History Among the Headstones tours have no seating available. Miss Emily offers research services at a competitive rate. Her research skills and knowledge of local history have assisted fellow authors with their successful publications, and have helped people who are seeking information about buildings, businesses and people. House Museum: Daily at 9:00 a.m., 10:00 a.m. and 11:00 a.m. Historic Havre Strolls: Victorian Homes Mondays at 6 p.m.; Old Downtown Havre Tuesdays at 6 p.m.; Notable Citizens History Among the Headstones Tour Saturdays at 6 p.m.; all weather permitting. All proceeds from tours, book and photograph sales, research contracts and events are used for the restoration and operation of the High Line Heritage House Museum. Our immediate need is a fresh coat of exterior paint and we chose autumn colors, honoring our favorite season! There are many more tasks on the list, including foundation stabilization and a new roof. Our goal is to restore both homes to their former glory, continue our current offerings, and add more including a bed and breakfast. Please know that when you take one or more of our tours, buy our books, hire us to conduct research, or attend a tea party, dining experience, or special event, funds raised aren’t going to a CEO for a vacation home-it is helping a small business owner preserve history for future generations to study, learn and enjoy, as well as positively contributing to a higher quality of life in our beloved hometown. Interested in scheduling a tour? Click on the button to the right to book your personalized tour today!